Always do online booking of platform tickets of Indian Railway online using instructions given here. Choosing to buy railway platform ticket can prove to be very costly as you can get penalized with hefty fine and even imprisonment in some cases. So, whenever you visit railway station, to receive or to see off your guests, don't forget to buy a platform ticket. Platform ticket costs only Rs 10 but many people avoid purchasing it. This is because over the years many people have gotten away with not purchasing it. So it has become a habit. Before now platform tickets were not available online. 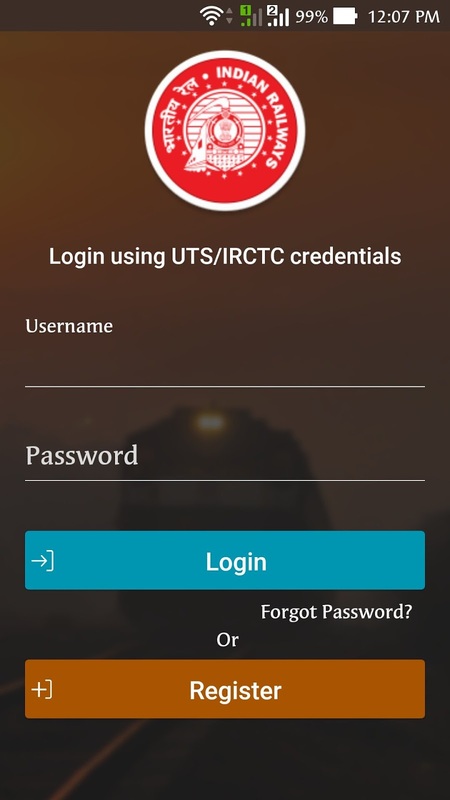 But now you can book railway platform ticket online too. All you need to do is to download the rail saarthi app, which has option of booking platform tickets online. Step 1. 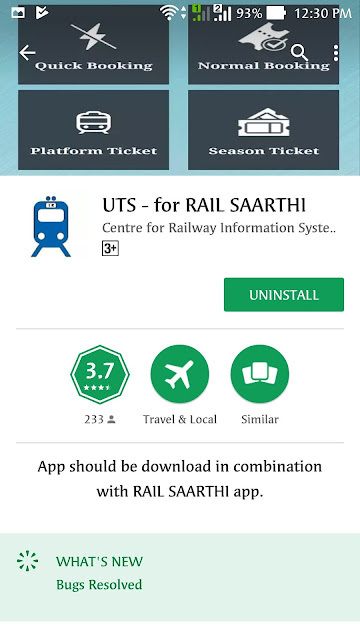 Login to 'Rail Saarthi' and go to 'ticketing' section. For login You can use IRCTC credentials i.e you can use same username and password as you use at irctc.co.in or on irctc rail connect app. Step 3. 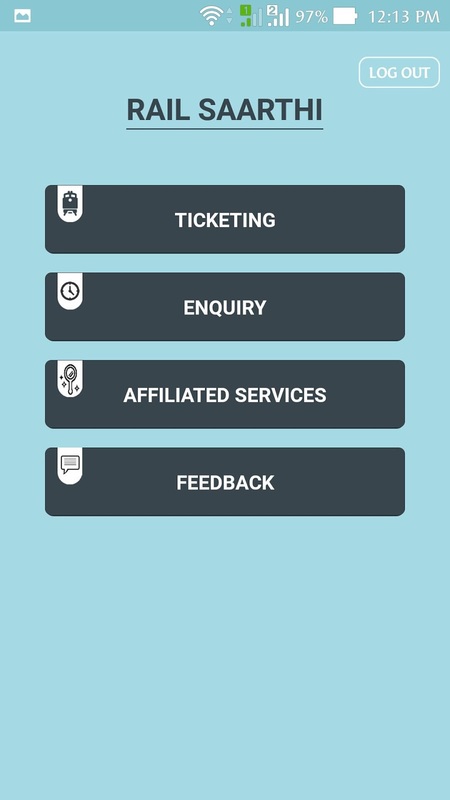 Choose option for platform ticket booking. Step 4. Pay by 'rail wallet' or by using other means such as internet banking. Railways, all over the world, have introduced this ticket to avoid unnecessary rush on platforms and to stop unsocial elements from entering into railway premises. It is believed that no one would want to spend money just to spend time on railway platform. Indian Railways has been struggling with staff capacity over the years. There aren't much staff available with railway. This may sound strange, especially with number of railway recruitment adverts you see in newspapers in India, appearing throughout the year, but its true. Even while on your journey by train you con have a look at small railway stations, those in rural areas, where you will see only a single employee, named 'Station Master' doing multitasking involving tasks such as issuing of tickets, showing green/ red flags to passing trains, and receiving telephones among many others. So, we the Indians, are aware of this fact, and hence we know that no one would be there on railway station to ask us to show platform ticket. Hence, there is no need to buy it. But again, there are stations in metro cities where railway conducts surprise checking. And if you are found wandering without a platform ticket on railway platform you can be caught and presented to railway magistrate who can take some strict judicial action against you. So, it's always good, and in fact is your responsibility to buy a ticket before entering a railway platform. Sometimes people don't buy tickets because of long queues. Most times people reach station just few minutes before the departure of the train. And hence they are worried that they might miss the train if stand in long queue. Other thing is that in modern world most people are used to doing things online. And railway booking is no exception. That's it! If someone asks you now "Can I book platform ticket of railway online?" Say, "Yes" and refer him to this article.